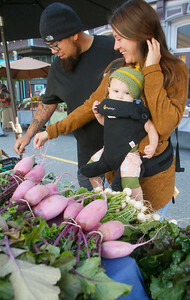 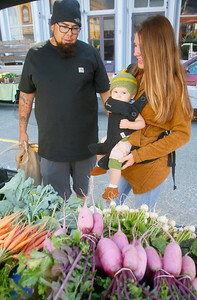 Shaun Walker — The Times-Standard Laila Barnett, 8 months, mom Hannah, and dad Jeff look at produce at the I and I Farm tables at the Old Town Eureka Farmers Market on Tuesday morning. 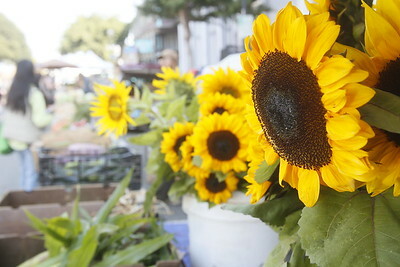 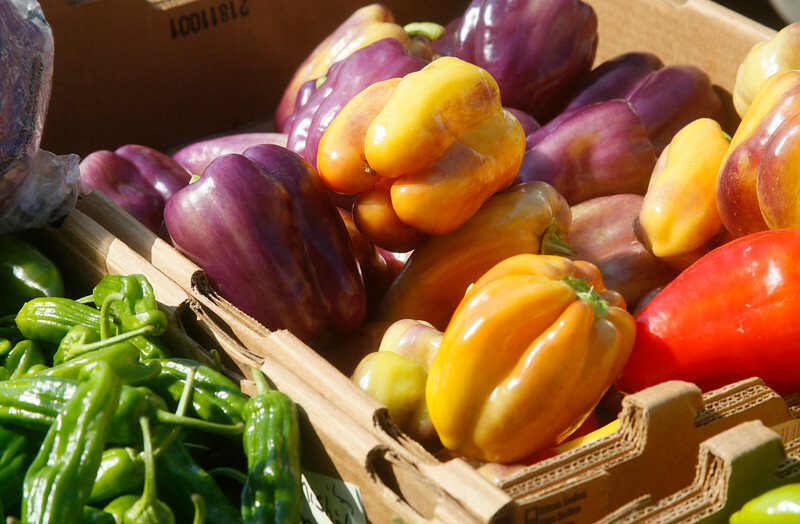 The market, on F Street between 1st and 2nd, is open every Tuesday from 10 a.m. to 1 p.m. June through October. 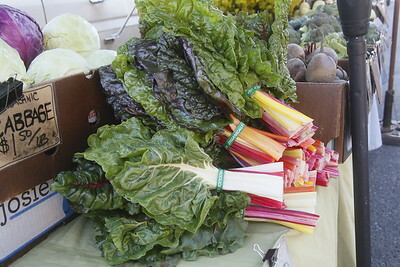 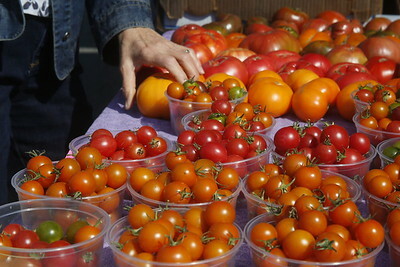 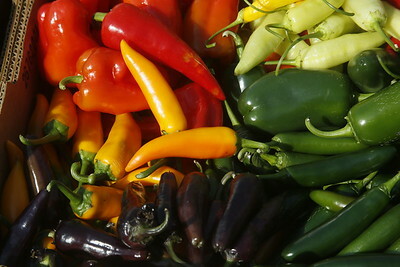 For more information on it and other farmers markets, go to www.northcoastgrowersassociation.org. Shaun Walker — The Times-Standard Bell peppers and other vegetables sit on display at the market. 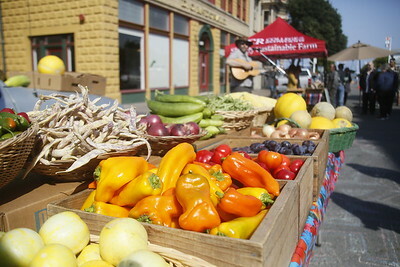 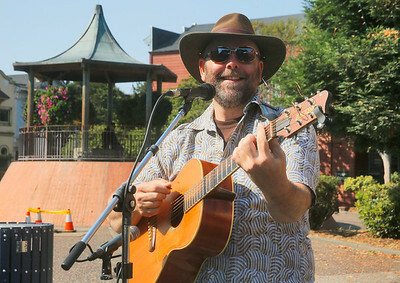 Shaun Walker — The Times-Standard Fruits and vegetables sit on display at the Old Town Eureka Farmers Market on Tuesday morning. 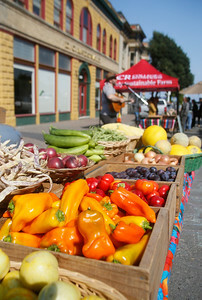 The market, on F Street between 1st and 2nd, is open every Tuesday from 10 a.m. to 1 p.m. June through October. 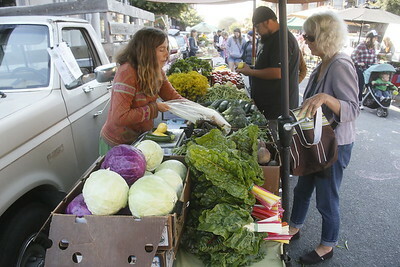 For more information on it and other farmers markets, go to www.northcoastgrowersassociation.org. 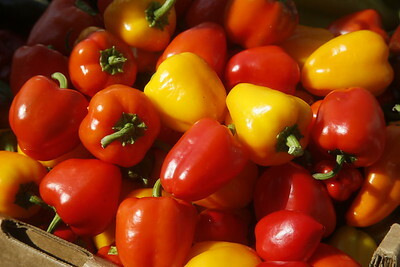 Bell peppers and other vegetables sit on display at the market.